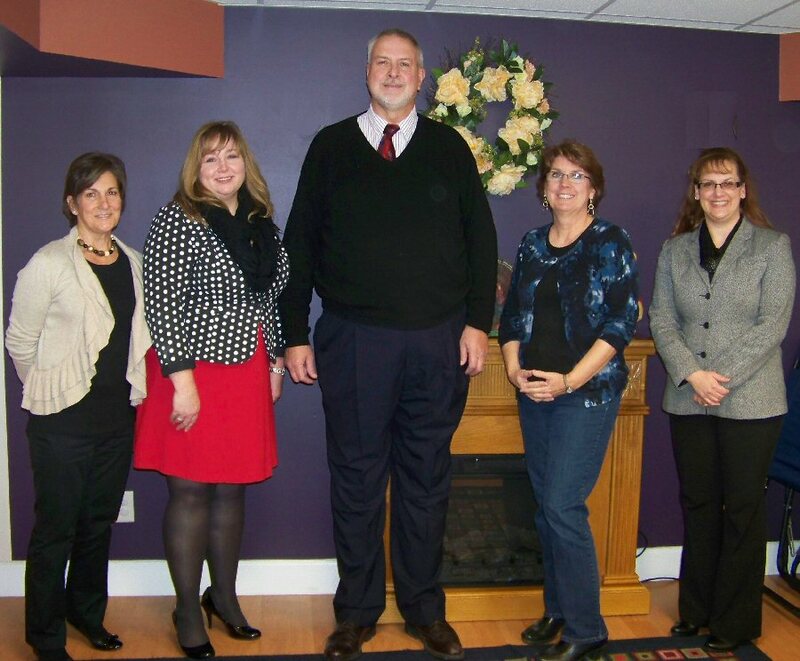 FULTON, NY – Karrie Damm, executive director of the Child Advocacy Center of Oswego County has announced that the agency recently welcomed three new members to its board of directors. 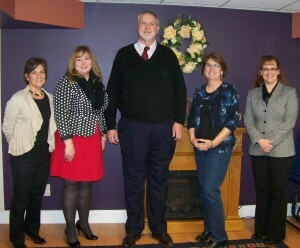 President of the board of directors for the Child Advocacy Center of Oswego County, Betty Fadden (second from right) and executive director Karrie Damm (second from left) welcome community members Mary Helen Park (left), John Zanewych, and Allison Nelson to the CAC’s board of directors. Mary Helen Park, a retiree from the Oswego City School District Technology Department, has served as a volunteer for McMahon / Ryan Child Advocacy Center in Onondaga County and Prevent Child Abuse NY in Albany. Her experience with child abuse prevention and her passion for protecting children made the opportunity to serve on the CAC’s board of directors very appealing. “Reports of child abuse in the news bother me and made me want to get involved in its prevention. 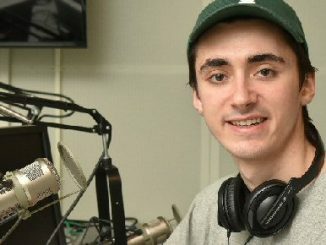 I had read several articles about the CAC and was impressed with their efforts. The CAC does a tremendous job supporting children of abuse as well as providing outreach programs for prevention. With the increasing numbers of abuse and neglect in our area, I feel there is much more to be done to protect children. With my primary interest being prevention, the CAC is a perfect fit for me,” said Park. Allison Nelson, an attorney in private practice with the Nelson Law Firm, has prosecuted neglect and abuse cases in Oswego County for much of her career. Upon establishing the Nelson Law Firm two and half years ago she began representing and providing legal services to the Oswego County Department of Social Services. “As my firm handles all neglect/abuse cases for Oswego County, I am very aware of the work that the CAC does. It is important for children who have been abused to disclose this information in a child friendly site and as few times as possible. The CAC provides a one stop location where interviews and physical examinations of children can occur in a location that is child-friendly and provides a location for those children to receive counseling after experiencing a trauma such as child abuse. I am ecstatic about being a member of the CAC board of directors. The CAC is something I hold near and dear to my heart and I look forward to offering my expertise and helping to enhance the CAC,” said Nelson. John Zanewych of Big John Sales, discovered the CAC when he attended a function of the Greater Oswego / Fulton Chamber of Commerce that was held at the CAC offices. When he heard the CAC was interested in adding new board members he knew he wanted to be involved. Located at 301 Beech St., the CAC of Oswego County is a non-profit charitable organization that provides a safe, child-friendly site for the investigation, prosecution and treatment of child abuse. The CAC also has a satellite office located at 4822 Salina St. in Pulaski.